The 2011 Volvo C30 is another perfect car from Volvo, and it receive good ratings overall. Our ranking is based on analysis of different reviews available online and data available on Volvo website. Volvo has redesigned the front end in C30 for 2011, and the styling is compact and attractive. Volvo C30 is one of the best value for money car in the category of small upscale cars. Volvo has redesigned this smart beauty for the 2011 to make it more attractive. 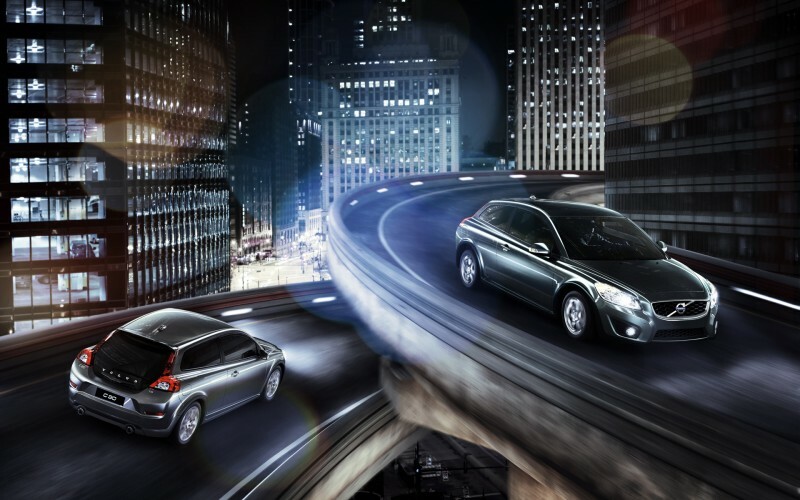 C30 is loaded with full safety features, and that is what Volvo is famous for safety. However, there are no significant changes in the interior and exterior styling all the focus is on front design. If you love stylish and attractive looking vehicles, then Volvo C30 is the perfect car for you with all the features. Volvo C30 is one of the comfortable cars to drive. Reviewers are happy with comfortable front and rear seats in C30 that no other car can offer. C30 is designed especially for the consumers because there is no negative feedback so far. C30 also comes in two trims the T5 and R-design; both the trims have a powerful five cylinder turbo charged engine to produce enough power. Few test drivers are not happy with handling and sporty performance. 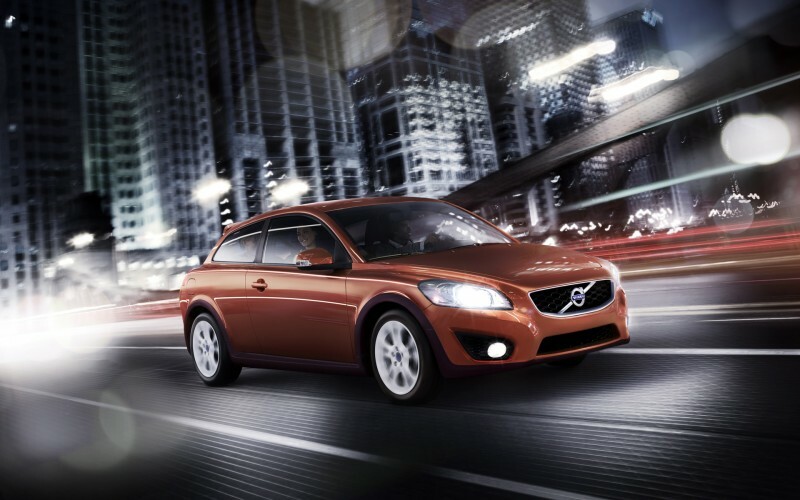 If you value comfort over performance, then Volvo C30 is a perfect car for you. The price is also reasonable as compare to other vehicles, but Volkswagen GTI starts $1,000 less. The base price is higher than its competitors, but C30 offers the best in class. It’s very hard to find the good looking vehicle than Volvo C30. There is no other vehicle that can compete with Volvo C30, only Volkswagen GTI is a perfect alternative. Reviewers compare the two cars and Volkswagen GTI wins over performance and Volvo C40 over comfort. Volvo C30 has two gear options five speed automatic or a six speed manual transmission. The R-Design trim offers the sportier look with exterior styling kit, but reviewers are not happy with R-Design trim. Auto reviewers say that it has ruined the ride quality because of unique suspension in R-Design. Volvo C30 has so many features to meet the performance expectations. Test drivers are not happy with braking and steering it lack sensation. Some of the standard performance features include Five-cylinder Turbocharged Engine, a front wheel drive system, two transmission options a Six-speed Manual Transmission and Five-speed Geartronic Transmission, Comfort Chassis, Dynamic Stability and Traction Control (DSTC) Anti-skid System, and Sport Chassis. With all the fully loaded features C30 will not disappoint anyone. 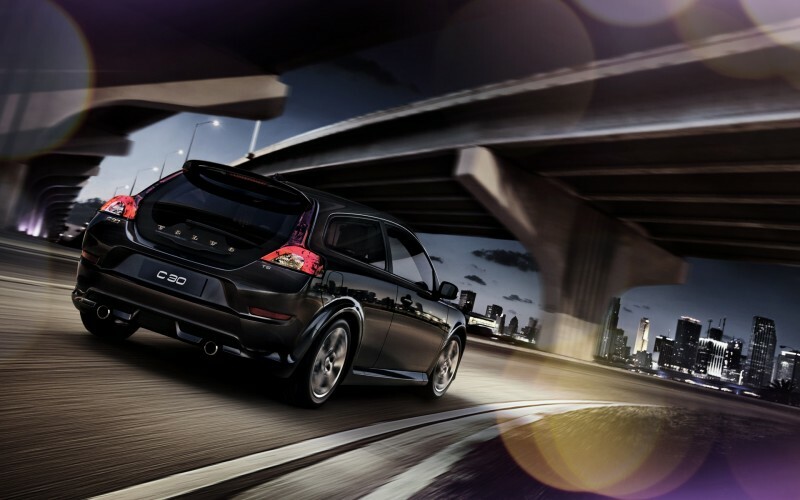 Volvo C30 engine offers the enough power to satisfy most of the reviewers it produces 227 horsepower. Another plus is that both the transmission doesn’t affect the fuel economy. Volvo claims that with automatic transmission it will do 21 mpg city and 29 mpg highway, while manual do 21 mpg city and 20 mpg on the highway. Reviewers are not happy with the manual transmission because they say it is less responsive. The overall performance is rates good by the reviewers, and they said C30 design matches with performance. The best choice would be the T5 trim with fully loaded features. Volvo C30 interior remains the same for 2011. 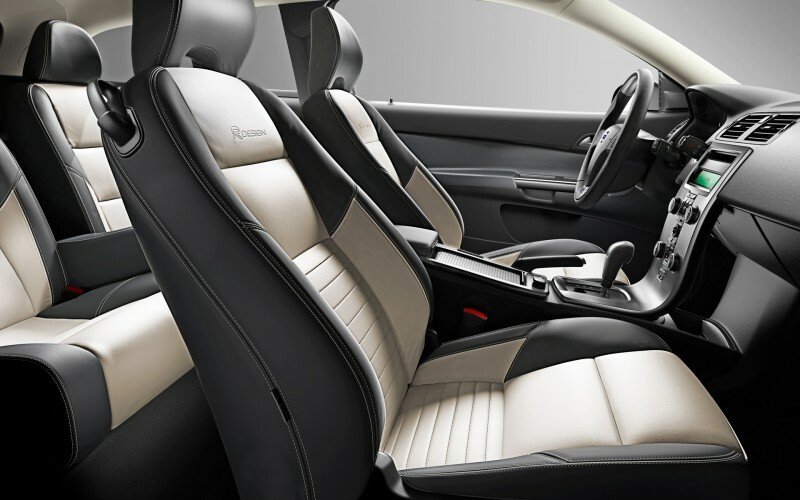 People praise the Volvo C30 interior design and style. Some of the reviewers say that the quality of materials is not good, but considering the price everything perfect in C30. The interior seating is very comfortable and liked by all the reviewers. No other competitors provide comfortable rear seats, but C30 offers both front and rear spacious and comfortable seating. Volvo C30 is loaded with many interior features like Ergonomically Designed Seats, Four Individual Seats, Heated Front Seats (optional), Power Front Seats, Driver and Passenger (optional), 50/50 split rear seat, Cabin Filter, AC climate unit, Electronic Climate Control (optional), Interior Air Quality System (optional), Power Glass Moonroof (optional), Illuminated Lockable Glovebox, Front Door Panel Storage Pockets, Storage in Front of Center Console, and Rear Seat Side Panel Storage. Other high-tech feature includes Ambient Temperature Gauge, Blind Spot Information System ($700 extra), Power Retractable Door Mirrors (optional), Headlight Washers (optional), Keyless Drive (R-Design), Cruise Control, Rain Sensor (optional), Electrically Adjustable Heated Outer Rear-view Mirrors, Trip Computer, and Bluetooth® Hands-Free System. There are many optional advanced features like Volvo Navigation System with Real Time Traffic, which helps you find the quickest route to your destination. It also guide about your nearest gas station, restaurant and hotels in voice when needed. There is standard USB and iPod® Music Interface and Remote Audio Controls in Steering Wheel. The cargo space is not sufficient in C30 it offers 12.9 cubic feet of space. 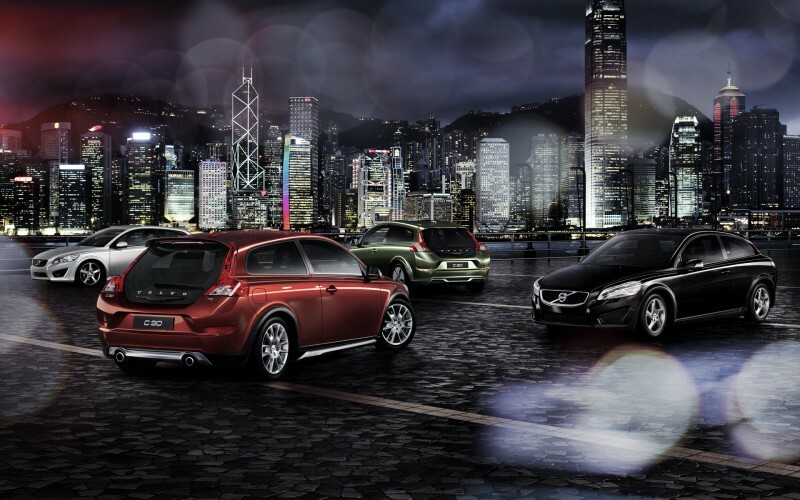 Exterior is something to talk about in Volvo C30. The design is attractive and most of the reviewers are happy with the exterior design. If you like the shape of the vehicles, then C30 is a perfect car for you. Some of the exterior features are Exterior Styling Kit, Roof Spoiler, Front Fog Lights, R-Design Exterior Styling, R-Design Rear-view Mirror Covers, Silk Metal, and Midir 7.5″ x 18″ Diamond Cut/Light Grey Alloy Wheels (R-design). Volvo C30 is the safest car to drive with Volvo safety reputation. Volvo C30 receives Good rating in 2010 for front, side impact, and rear and roof strength safety crash tests. There are many standard safety features like Anti-locking Brake System with Electronic Brake Assistance, Daytime Running Lights, Dual Xenon Gas Discharge Headlights with Active Bending Lights ($800 extra), Dynamic Stability and Traction Control (DSTC) Anti-skid System, Front Fog Lights, Glass Tailgate, Rear Fog Light w/Auto-off, Side Positioning Lights, and Tapered Door Pillars. Other protective safety features include Anti-submarining Protection, Collapsible Steering Column, Airbags, Driver and Front Passenger, Energy-Absorbing Interior, and Head Restraints for all Seats. The 2011 Volvo C30 comes with five year or 60,000 miles warranty. Volvo also provides complimentary maintenance for the first three years or 36,000 miles. Volvo also provides roadside assistance for 2011 vehicles. Volve C30 is cool looking I resonally prefer this car over other vehicles. Volve S40 is average car C30 rocks. Try to review some sport cars love read about them.